Named by Bill Gates as one of his Top 5 Books of the YearAn Economist Best Book of the YearIn the 1980s and 1990s many in the West came to believe in the myth of an East-Asian economic miracle, with countries seen as not just development prodigies but as a unified bloc, culturally and economically similar, and inexorably on the rise. InHow Asia Works, Joe Studwell distills extensive research into the economics of nine countriesJapan, South Korea, Taiwan, Indonesia, Malaysia, Thailand, the Philippines, Vietnam, and Chinainto an accessible, readable narrative that debunks Western misconceptions, shows what really happened in Asia and why, and for once makes clear why some countries have boomed while others have languished. 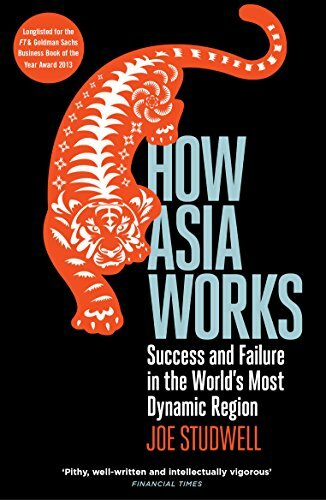 Impressive in scope,How Asia Works is essential reading for anyone interested in a region that will shape the future of the world. Seil für Zelten, Basteln, Spaß und vielem mehr.